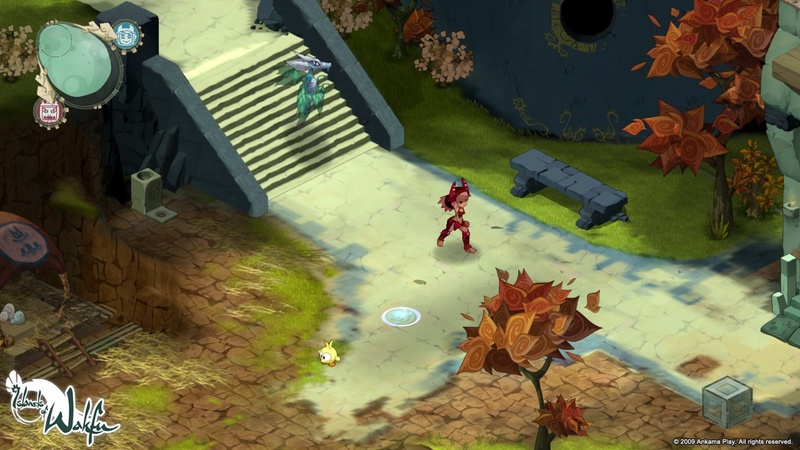 Island of Wakfu is an original arcade game by the creative minds of Ankama Group will show you a deceptively bright world with a surprisingly dark theme. You may look at this and think you’re getting a kids game about saving nature, when really you’re getting an end of the world game where you decide how it happens. I won’t give away too much of the story, but it’s much deeper than it looks. You are the one in control of how the world will end - not if, how. Three possible endings come out of how good, bad or neutral you are to the plants and life in relation to Wakfu. Wakfu is the natural “mana” source of this game. It contributes to your life, and magic abilities as well as how you contribute to the good or evil of the world. 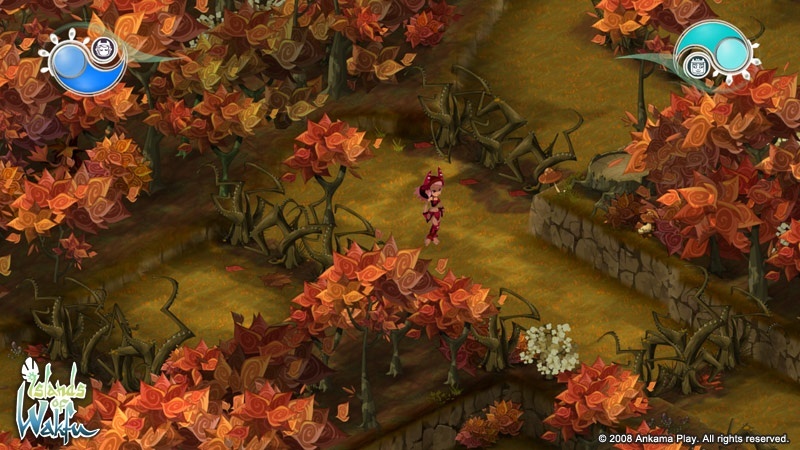 If you’re running low on Wakfu, you can “steal” it from plants and things like butterflies. The catch? That plant (or whatever you steal Wakfu from) dies. 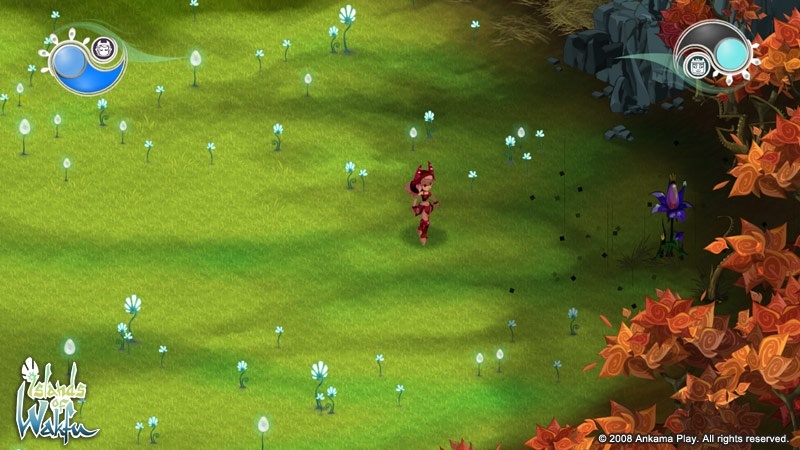 If you’ve got an abundance of Wakfu and wish to contribute something back, you can also donate your Wakfu to the plants to revive or make them more vibrant. As the demo opened up, you were given a brief tutorial which taught you two very important things, aside from your general attacking. 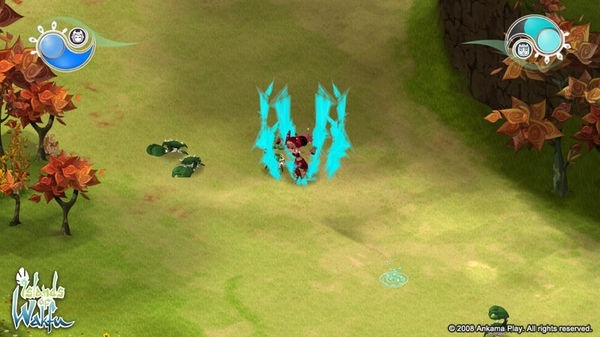 Island of Wakfu gives you the ability to teleport behind or away from enemies on the fly. One joystick movement and the press of a button can get you quickly out of harms way, or into an enemies blind spot. The other unique ability here is where you transform into a dragon. This dragon form can attack, strafe, and fly around places your main character can’t get to. This is also what gives the game co-op - One player is the simple player one, and the other is the Dragon. Players will have to work together to get around all of the obstacles and complete the environmental puzzles to progress through the game. Since communication is so vital in this game, local co-op will be the only co-op as of right now. The dragon also has a nice ranged attack, so balancing between ranged attacks and the teleporting melee attacks is very important with co-op. 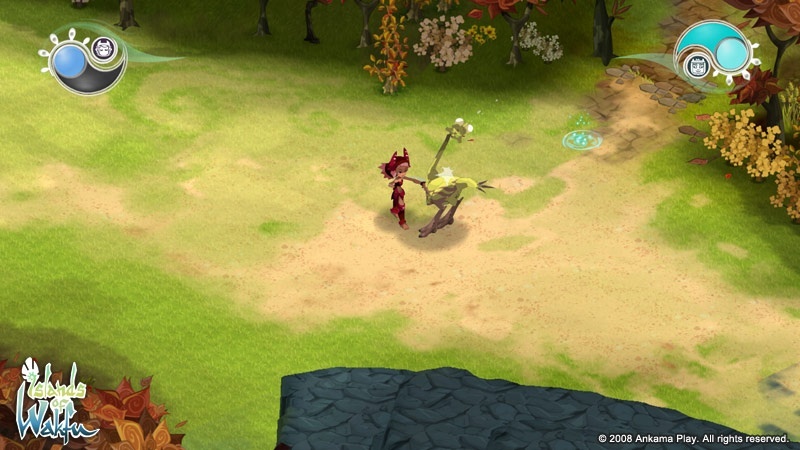 With games being produced together, the developers decided to link Island of Wakfu and the world of Dofus a little bit. As you progress through Island of Wakfu, you will see familiar characters between both worlds, and as you unlock things in the game, some of the items will be available to your Dofus character. They didn’t give any further details on that, but it sounds rewarding enough to try! Island of Wakfu is still early in it’s production, but they’re expecting a Summer of 2010 release on the Xbox LIVE arcade! (Editors note: As a general reference, the game itself plays similar to Legend of Mana...with a Dragon.